A high school senior and a strong student, Elizabeth had already been accepted to a prestigious university. Her father was a lawyer, making pre-law seem like an obvious and natural career path. However, she was having doubts about whether or not that was the best choice for her. She interned at her father’s office the summer before, and felt that most of the work she did was “just generating ideas and paper,” there was nothing “real” about it. On the other hand, she had also spent time as a Candy Striper at the hospital where her uncle was a surgeon. She loved the one-on-one time with patients, really liked the fast pace of the hospital environment, and was fascinated by the surgery she watched that was performed by her uncle. What does it take to have a successful career in the medical field? After her experience as a Candy Striper, Elizabeth thinks she has an interest, but are her abilities aligned with that interest? Elizabeth took the Highlands Ability Battery (HAB) to find out. During her two-hour debrief session with a Highlands Certified Consultant (HCC), Elizabeth was interested to learn that she had a number of natural abilities that corresponded with a variety of careers within the medical field and legal fields. Her scores on Driving Abilities, in particular, pointed towards a problem solving style that can be well suited for both. So what new information could help Elizabeth decide? Elizabeth’s lightbulb moment was when she realized her natural abilities were better aligned with the intangible aspects of any career field rather than the concrete, tangible aspects. Based on her experience as a Candy Striper, what appealed to her about a career in medicine was the pace, complex problem solving, and interaction with people. During the summer job in a law office, Elizabeth’s experience was administrative (not a that of a practicing lawyer), consisting of uncomplicated clerical tasks assigned by others, spending wide swaths of time alone to complete her work, and not having direct contact with clients. Elizabeth interpreted her experiences as helpful in choosing a career field (law vs. medicine) rather than choosing roles and responsibilities within any career field. It turns out, Elizabeth’s natural abilities suggest she could excel in connecting with people, solving problems, and having direct contact with both. And that can be found in either field. Elizabeth will need to gather more information on both fields and, perhaps more importantly, focus on her interests—what fascinates her. If she has a strong interest in medicine, perhaps a career in hospital administration would utilize her natural talents. And if she also has a strong interest in law, perhaps she could pursue a legal practice specializing in medical or health law. Elizabeth didn’t think she would be fulfilled by a career that was almost exclusively concerned with theoretical information, or working hands-on with instruments, or working by herself on solitary research. As a strong extroverted problem-solver with a gift for practicality, she much preferred work responsibilities with a high degree of personal interaction, an emphasis on connecting with people, and outcomes that have a direct impact on those for whom she worked. There’s more than one kind of person who can be a successful doctor or lawyer, but there are natural abilities and personal styles that make certain people more well-suited to some specific work responsibilities than others. After her debrief, Elizabeth felt confident—not only that she would find a lot of satisfaction and enjoyment from working in the legal field, but also that she had the natural abilities to do the work well. She decided to start a pre-law program at her university and volunteer as a patient advocate to explore if she would eventually enjoy specializing in medical or health law. She felt new-found confidence because she was making the choice herself and she understood exactly why she was making it. Knowing the objective facts about yourself—what comes naturally to you versus what is more difficult—is invaluable to the process of discovering the type of work you would most enjoy. 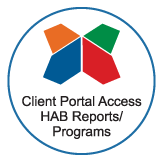 Students who are on the cusp of entering college, or who are still early on in their careers, are ideally suited to benefit from the HAB. Talk to a Highlands Certified Consultant today to get started!